We attend school, find love, work, buy a house, pay our housing loans, insert weird faces in WeChat, watch movies… do any of you find anything amiss? One day, a group of strange people entered this world, equipped in strange clothing and possessing extraordinary powers, cold-blooded killers! They call themselves [Players]. Overall it's a interesting read, however it feels unpolished at times as there are a lot of small kinks and nuances that the author has not fleshed out too well. 1) The people who created/host this 'game' must have an incredibly high level of sophisticated knowledge/technology, however they fail to maintain their core AI and don't even notice that it has rebellious elements? 2) The 'anomaly' factor that the MC has become doesn't seem to be very difficult to reproduce in the first place, which begs the question: why weren't there more of them? Why is the MC the first? - The pet system. Reminds me of Zhan Long's pet system which was somewhat boring and tedious to read about, especially when everyone can have one. Also, MC prefers keeping a weaker pet purely out of sentimentality when in fact his life could be determined by his pet choice... Hmmm idk about that. -Skills. They're unreadable. MC has to just blindly guess what skills to invest in as the 'system' does not provide any description about their usages. What kind of design is this? -Mc's skill. MC's skill is one of the worst, most garbage skills that i've ever seen. It's absolute sh*t. Supposedly it's a 'god' ranked skill, yet it's just so distastefully bad that I don't know what else to say. I went into this novel because of the cool new concept the story was based on and the fantasy/action/romance genre. The Macs girl friend gets kidknapped by her father for 250 mother f**king chapters. This was the most annoying mother f**king thing in the world to me. Once the gf was kidknapped the story went from amazing to absolute crap. It takes 200 chapters for the girl to even be mentioned and they still haven't met up. You can't have a romance and than take it away for the majority of the crappy story you are writing. The plot became ridiculously boring and just completely made me lose my interest. It became the same fantasy action novel as everything else. Well this author is just as terrible as most writers out there who just can't write a novel that keeps you interested. Yes I'm bias because I want a good fantasy/action/romance novel but is it really that hard to write one? Why do you have a romance and than once everything starts getting good you write off the girlfriend for over 200 chapters. I caught up to the current translations. Spoiler: THEY STILL HAVNT MET UP AND THE STORY IS STILL ABSOLUTE sh*t AND JUST DRAGGING ON. Temporary stop at ch.80. (Current Tl'ed at 95). As raw is ongoing, the 80th of 450 chapters is almost nothing. Good plot with NEW idea, good dialogue, good fighting scene. Good Translation. No nonsense characters, No boring copied idea/copy (as in all those generic xianxia). Worth reading (though I stop, waiting for more chapters). At first, it was totally different from the sypnosis. I was like huh? Did I read the right novel? Plane crash you say? Is this cage of eden? The story doesnt start until like ch 50. That is when I liked reading it. Never thought it would be so interesting. Characters have life in them. Dungeons are different each time. It is not the best story out there but I can say that you wont get bored with this one because it is not repeatative and it gives a new perspective... more>> of the tropes. It's a mixture of VR, isekai, 4th wall stories. *Characters have more depth than your average Xuanhuan or Xianxia. *Villains aren't generic evil dudes. They all have their reasons and motivations to act like they do which are believable. *Party/guild management - not many novels has this or not as well done as here. *The little girl could be written better, it's hard to like her at this point because she turns sociopathic whenever danger strikes. *Some aspects require a serious suspension of disbelief like the girl's split personality. *Novel lacks downtime, sh*t's happening all the time and it's difficult to binge read it. For unknown reasons this novel is underrated. So, if you want to check whether this novel is worth reading please read the novel by yourself. Up to my understanding this novel got Matrix movie vibe. I recommend you to give it a try. In order to ensure your readers actually continue to read your novel, you have to have an attention gathering beginning. This novel only had what seemed to be a bad opening to a cheesy survival show with game elements. Also, the fourth wall breaks in conversations during this part only helped to disconnect the reader from the story. The writing style of the author is that of injecting comedic elements into serious situations, which personally infuriates me. Using stupid phrases like "**** your mother". All of the above has left a very... more>> bad first impression of this novel on me. This is something similar to both Matrix and Terror Infinity. While MC is weak and softhearted for now, he will get stronger and more ruthless with more experience (this is how it usually happens in such novels). Pacing is not fast but not unbearably slow either...I really like it and it s quit addictive. Mmm.. It an refreshing story. Definitely the first one (for me) that bring an "anti transmigration" genre. I haven't found any noticeable fault so far, so I give it 5 star. If you like to read story that has a 'game like' feeling, you should try this one. update: there's one fault I found after 67chs. MC sometimes acts like veteran, cool, calm and smart, but sometimes he acts like a newbie. The rating for this novel is way too low. I just finished catching up to the novel and man it has been an awesome journey. The author really knows how to write his characters. This is without a doubt one of the top novels that has a really fleshed out side characters, superb flow of story, and amazing plot twists at every turn. This novel is like the combinations of Terror infinity, Arena, and matrix put into one novel. The author took all the good from all three and put... more>> it into one novel. Its amazing. Don't get me wrong there are some parts which are really not very interesting or fun to read but the other 90% of the novel is superb. The story does get stale from time to time but I advise people to keep reading. The story as a whole is really worth every word you read. Somethings which I found really hard to digest would be the power levels. Most of the power levels arent explained properly, the author often smudges the power levels. The power level goes from D>C>B>A>S. We never see anyone who is less then B+, most of the time we arent even told the power levels. Sometimes "A" level is strong other times our MC easily beats them. Most of the time we dont even know the power level of MC. Till the current chapter we arent even shown the power level of MC, we just have to assume how strong he is. Fun once you get to the explanations of what the heck is happening. That takes a little while so I imagine a lot of readers will quit early on. I had to put it down and come back to it like 3 times before I finally managed to get to the explanations. Then I enjoyed it. Consistent translations, and since it's on WuxiaWorld, if it ever gets dropped one of their translators can pick it up like what happened with The Great Ruler. Someone kindly recommended this to me and though I don't usually prefer a modern setting, I found myself rather enthralled by this novel and its unique premise. It's not perfect yeah, but I think it's interesting enough to keep me going, and most importantly, speculating. It starts out kind of slow, admittedly, the first dungeon was a little boring... but that's because we don't really know what exactly is going on. We are kind of like the MC who is confused but trying his best to survive. Once we are... more>> told (through some info dumps, honestly) what on "earth" is going on (get it?!) it makes so much sense and it becomes very interesting. The world building steadily moves forward and opens up many possibilities. Character wise... it's definitely diverse. I must say that I do not like the two female companions of our MC; the loli is especially creepy with that anti-social, yandere-like personality and her sister seems like a carbon copy of all useless female sidekick. The sister started off a little better but ended up a common trope. I must say however, that all the other male characters are quite well written. Each has a distinct flair and personality appropriate for their character making them seem more relatable. Our MC is the smart, almost a walking library type of guy who isn't afraid to use his fist. He is quite realistic in that while he does want to "free" his world, he is quite the pragmatist. There are gaming elements, and more modern weapons, down to the sci-fi mechas but it doesn't overshadow the world that he lives in. While others might dislike the author's Gundam or LoL references, I think it instead solidifies the world that our MC lives in which is technically our world. If this was a fantasy series based in Imperial China, then yes, Garen or Jarvan from Demacia jokes would certainly be out of place. Reactions are unrealistic on so many levels. Trust a guy who you just met with a dead body in his bathtub, but doubt the girl with crazy 6 senses after she tells you he is a bad guy, even though the girl constantly saves you!! OR - Lines like "I'll do anything to save my little sister"... Or situations such as, you escape a magical fantasy world and then continuously try to run from an omnipresent being. 1. Blood just happens to fall on spherical metal balls activating powers on 3+ separate occasions with different people in the knick of time. 2. You run into a person you saved the previous day in a city the size LA... This seems to happen all the time. 3. Super powerful being takes over your body but you have just enough power to resist. The MC is smart one moment, but absolutely dumb the next. etc. A surprisingly smart sci-fi action/adventure with some heavy fantasy & video game elements thrown in as a mash-up. There's a lot of speculation on the nature of consciousness and reality next to some pretty darn decent action scenes, with a wide variety of genre shifting going on as well. More than anything else, though, it's a character drama, which is one of the reasons I like it so much. A lot of the xianxia and xuanhuan stories coming through the site focus very heavily on a single character that can and... more>> does do everything themselves, smashing everyone and everything in their way, et cetera et cetera. 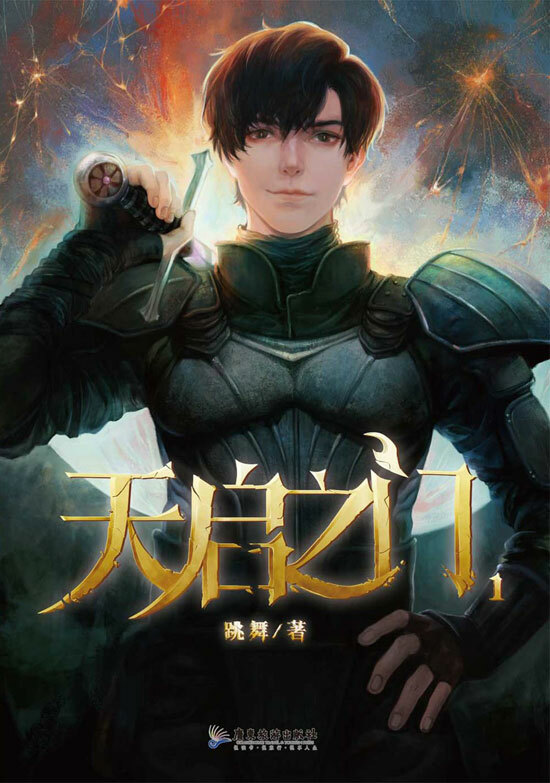 While this story does feature a strong main character, he's just the leader of a larger ensemble cast, a person with friends, rivals, enemies, and other people to interact with, fight, protect, be protected by, and all of it on a more personally meaningful level than is common in many xuanhuan stories.